For the serious beginner, the Yamaha b3 offers the perfect combination of affordability and performance. For the serious beginner, the Yamaha b3 offers the perfect combination of affordability and performance. 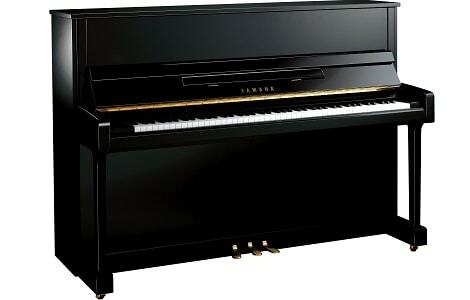 Based on the renowned design of the legendary U1, the b3 incorporates Yamaha’s traditional values as well as benefiting from the latest production techniques. The b3 impresses with its articulate characteristics produced from a larger frame and soundboard along with high-grade underfelted hammers and higher specification action. The solid-spruce soundboard at the heart of this instrument gives the b3 a warm and rich tone quality, while the five back-posts offer greater tuning stability and improved resonance. Find out more about the b Series here.